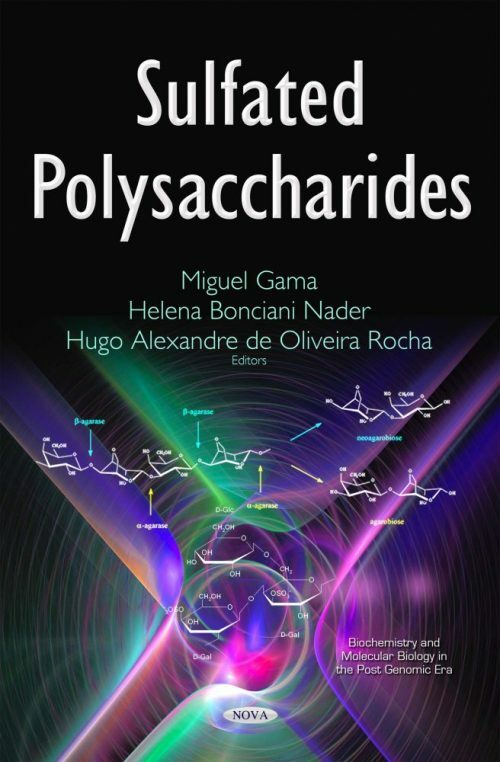 In the post-genomic era, science is still challenged to explain the biosynthesis of complex polysaccharides and glycoconjugates. Unlike nucleic acids and proteins, the information needed for their biosynthesis is not clearly contained to this day within the genome of the various organisms. This means that no biosynthetic code has been revealed yet. As a result, there will be millions of structurally distinct, functional chemical species at the end of their biosynthesis. This book offers an up-to-date view on sulfated polysaccharide structure and function state of the art in different life kingdoms: bacteria, protista, plantae, fungi and animalia. The structure, activities and current thinking on the interplay between these two vital features (as well as ways to study them) are reviewed in the present book. The growing economical interest in sulfated polysaccharides due to their potential biotechnological use in different areas, such as pharmaceutical and food industries, are also commented on. The information within the chapters adds to other prior available literature; the intention of the authors was to extend and further develop the discussions related to glycobiology. Broad audience: from biologist to chemists. The book covers topics for both undergraduate and graduate students.